Here's your chance to win the stylish Yoyo (S) from British audio brand, Cambridge Audio! To celebrate their 50th anniversary of creating innovative home audio in Britain, Cambridge Audio is giving away the Yoyo (S) ultimate home audio hub to two lucky winners. Cambridge Audio launched in Cambridge in 1968, and has become one of the UK's most popular hi-fi brands. This year, Cambridge Audio launched the Yoyo series, a new generation of home speakers designed to bring intelligent design, good-quality British innovation, and flawless sound into your home. Yoyo is a range of Bluetooth speakers designed with the craftsmanship, passion for sound and technological curiosity that only a Hi-Fi engineer can deliver. The (L), (M), and (S) speakers all encapsulate Cambridge Audio's purpose; bringing great British sound to people's home and elevating their audio to another level. The Yoyo range isn't all substance and no style though! Cambridge Audio has partnered with long-standing Yorkshire weavers, Marton Mills, to create an exquisite 100% Worsted wool exterior, to ensure your audio hub only enhances the aesthetics of your home. The Yoyo (S) is the ultimate portable home speaker, bringing powerful sound and intelligent technology to your home. 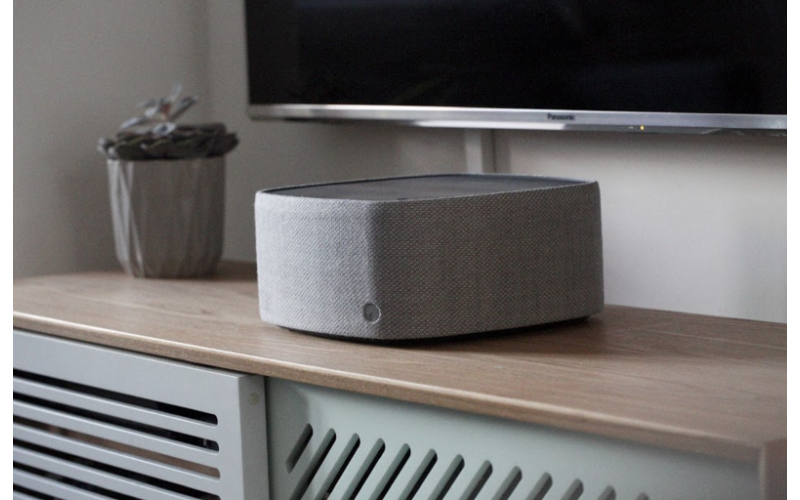 Easy to control -thanks to magical gesture control - and wireless (with 14 hours playtime), it features built-in amplification that drives a pair of full-range speakers, a subwoofer and a discreet passive radiator. Retailing at £125, the Yoyo (S) is available in a bright teal, light grey and dark grey. For your chance to win a Yoyo (S) speaker, answer the following question!